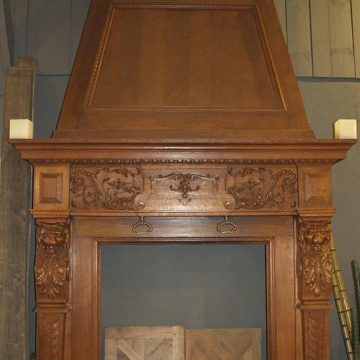 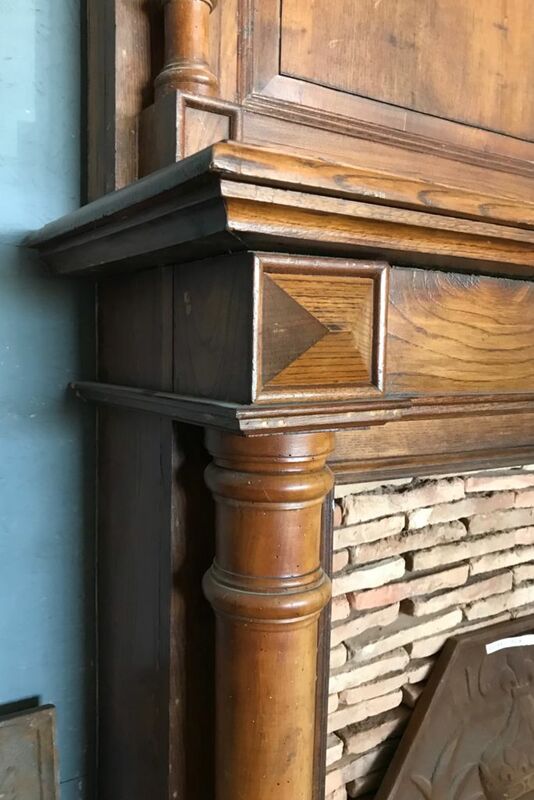 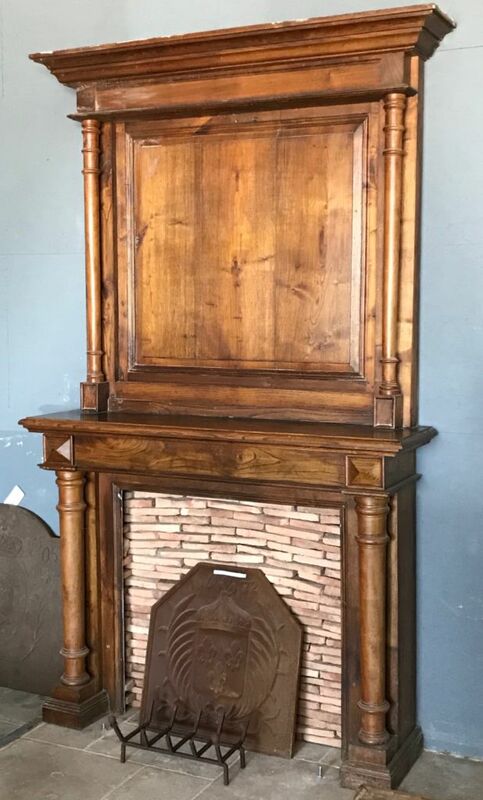 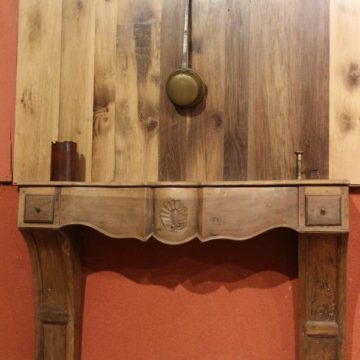 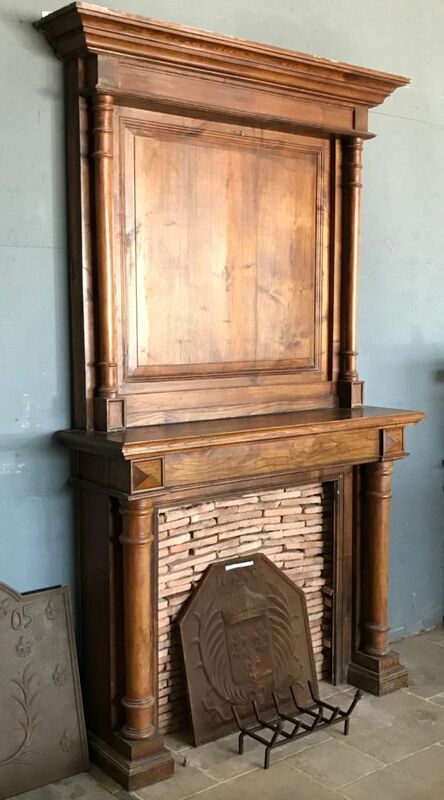 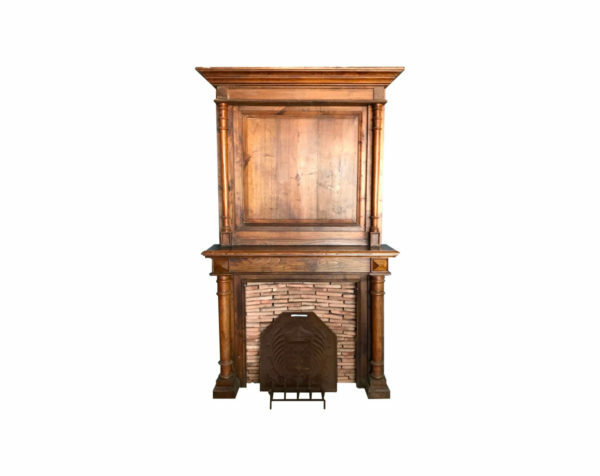 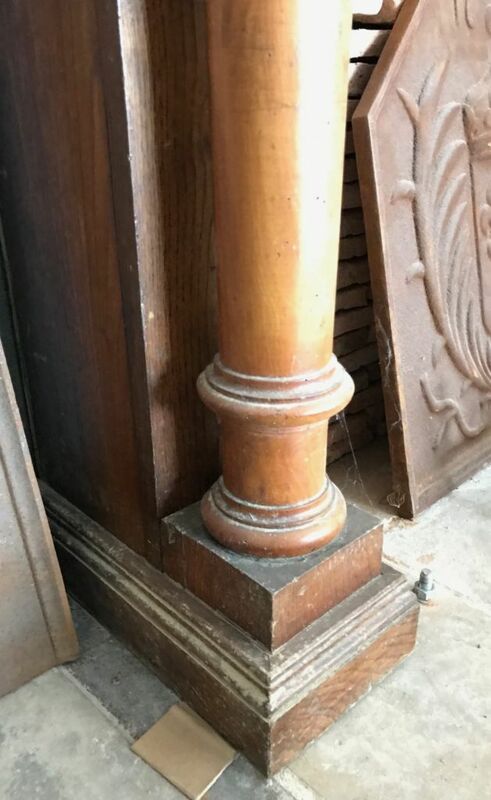 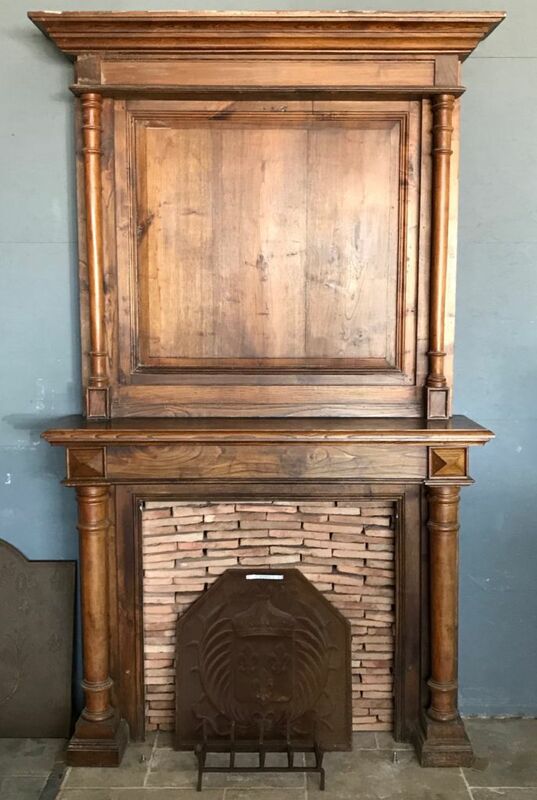 Antique classic fireplace in oak : Featuring turned columns in fruitwood. 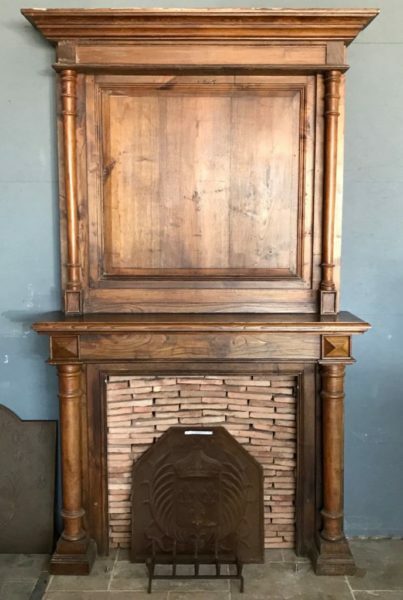 This chimney-piece is presumed late 19th century and came from a Normandy farmhouse. 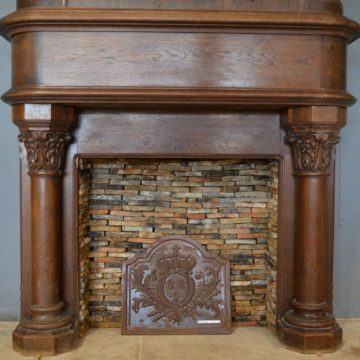 On display at BCA’s Normandy premises at Mery Corbon, between Caen and Lisieux.